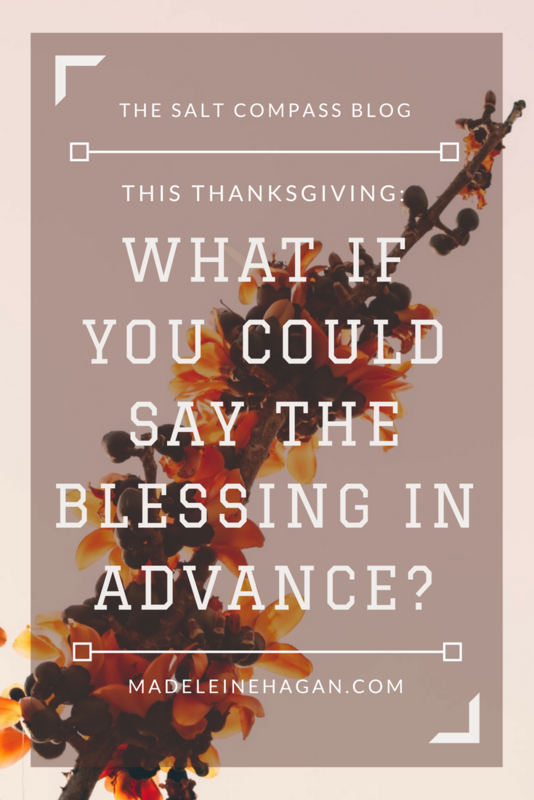 Many people participate in a tradition on Thanksgiving involving looking back on all that they’re grateful for in the past year or so. 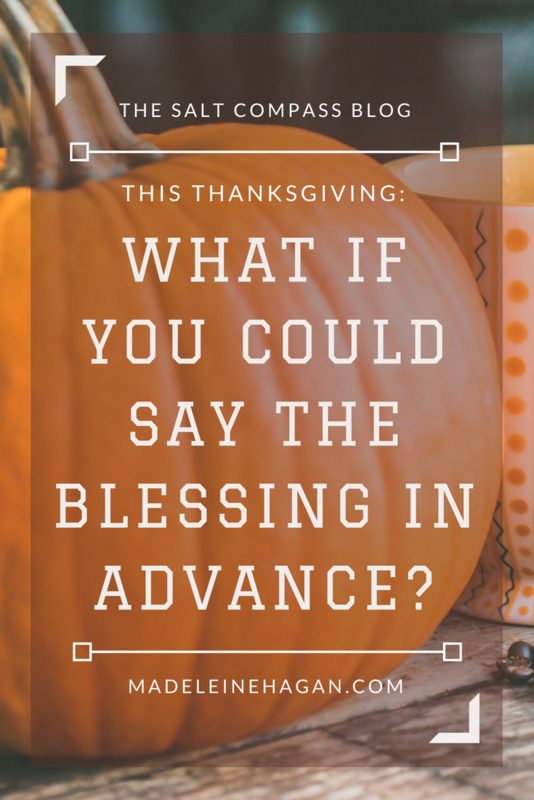 I love this tradition, “say the blessing”, because it highlights the goodness of God that might’ve been overlooked in the day-to-day crazy. However, I will definitely raise my hand and say that I’m guilty of that “overlooking” all too often. I forget that Gratitude, like Joy, should not be reflecting my mood or my day, and instead be a consistent state of my mind and heart. But I also forget that I do not have to limit my gratitude to things that took place in the past. I don’t worship a God whose blessings only live in the past. In fact, like C. S. Lewis says, “There are far better things ahead than any we leave behind.” God has so much in store for our lives. We must never fall for the clever lie that the biggest joys, the greatest miracles, and the heartiest laughs are in the past. New every morning. Not repeated. NEW. Just because God might not repeat a blessing from the past doesn’t mean He doesn’t have an even greater surprise in store for us. I wonder how many times I’ve tried to put God in a box? His ways are not mine, and His imagination is much more creative. For anything I forget to show gratitude for on a consistent basis. For His favor when everything was going right. For His presence despite everything going wrong. For the blessings in disguise I did not give Him credit for. I look back at the memories that filled this year with so much comfort and joy, but before I can ask God to let me relive them, I want to look ahead at my future days. I don’t know how many I will get, but I do know that each and every day I wake up to will have the same God on the throne. So, I want to say the blessing in advance. For the promises that haven’t yet unfolded. For His presence by my side through every single moment. When I’m strongest and weakest. For the new adventures He will invite me into daily. For relationships that will be restored. For the new levels of freedom He will teach me to walk in. For the lost He will guide home. For the friends that will be reunited. For the generous mercy and patience He will have when I don’t understand, and for how He will keep me humble when I do. For His faithfulness and never ending pursuit of my whole heart. I’m so thankful for who He is, and that His promises are true. Don’t waste your today wishing for yesterday. His best for you yesterday is no match for His best for you today. Claim it. Make a list of the good work you know that He wants to do through you, and then give Him the credit as they happen, one by one. Say the blessing.